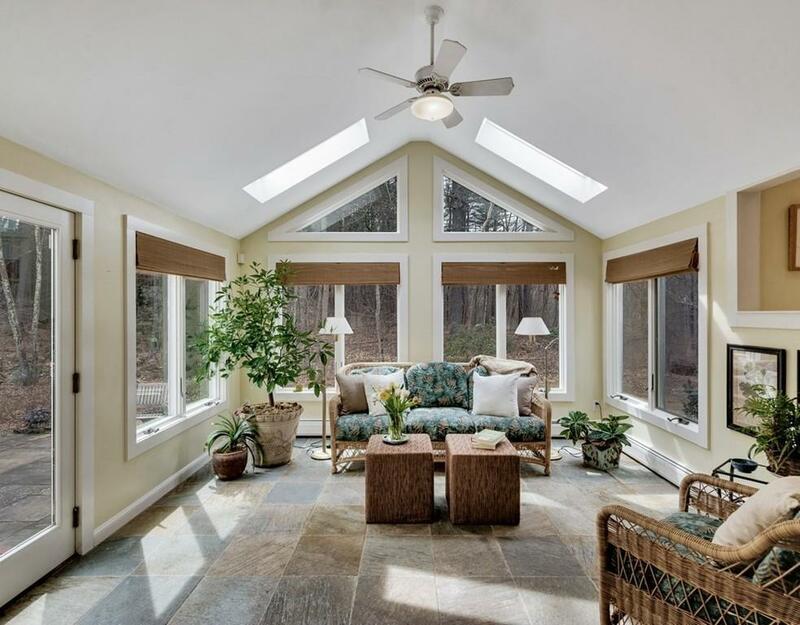 Welcome summer entertaining in this updated and expanded Colonial with a contemporary flair. 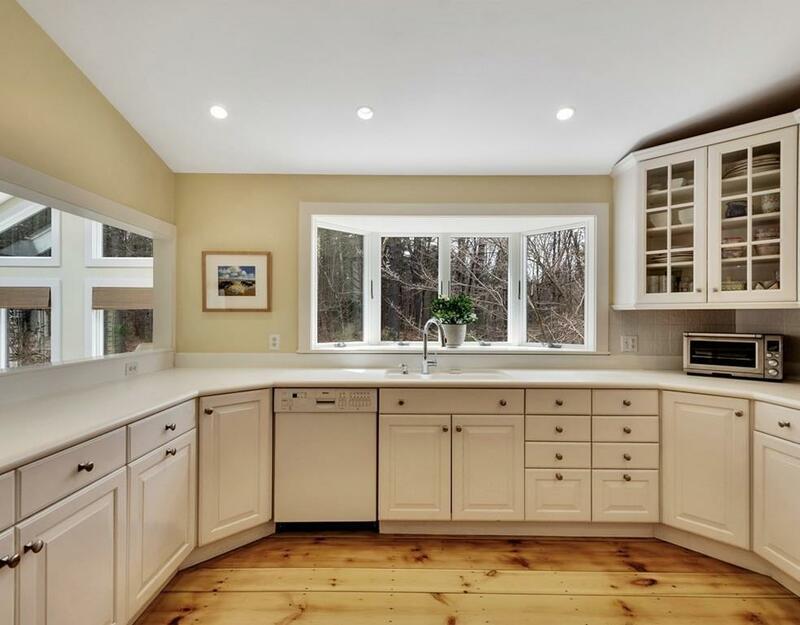 The open floor plan offers casual living, connecting informal living areas to the expansive white kitchen, ideal for cooking with ample counter space and storage opportunities and an appealing bay window overlooking the private grounds. 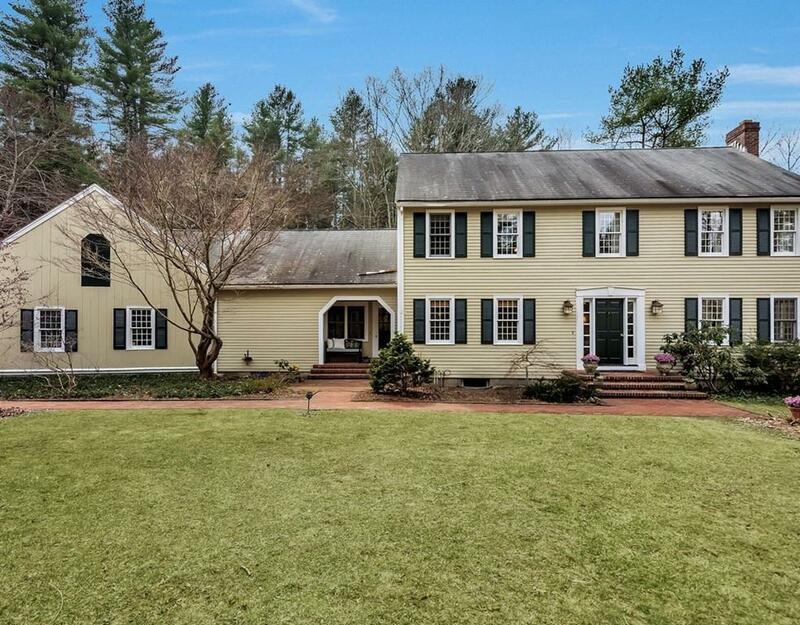 A picturesque mahogany deck and bluestone patio connect the house to the surrounding 2 acres of land framed by mature woods and complemented by kitchen and vegetable gardens. 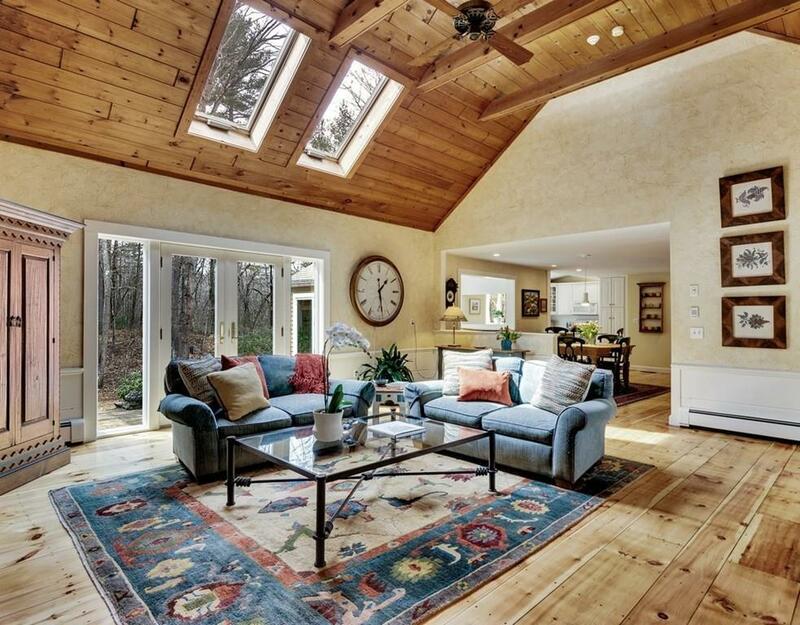 Relax by the fire in the cathedral ceilinged Family Room with central fireplace where sun streams through large picture windows or curl up with a good book in the inviting sun room. A charming, detached Writer's Studio offers an at-home retreat. Generously proportioned bedrooms, gleaming hardwood floors, updated baths, Central air, newer Buderus heating and hot water. This well maintained home is ideally located at the end of a private way with easy access to Town Center and commuting. Listing courtesy of Terry Perlmutter of Barrett Sotheby's International Realty. Disclosures Writer's Studio Has Electricity And Water. Listing provided courtesy of Terry Perlmutter of Barrett Sotheby's International Realty.